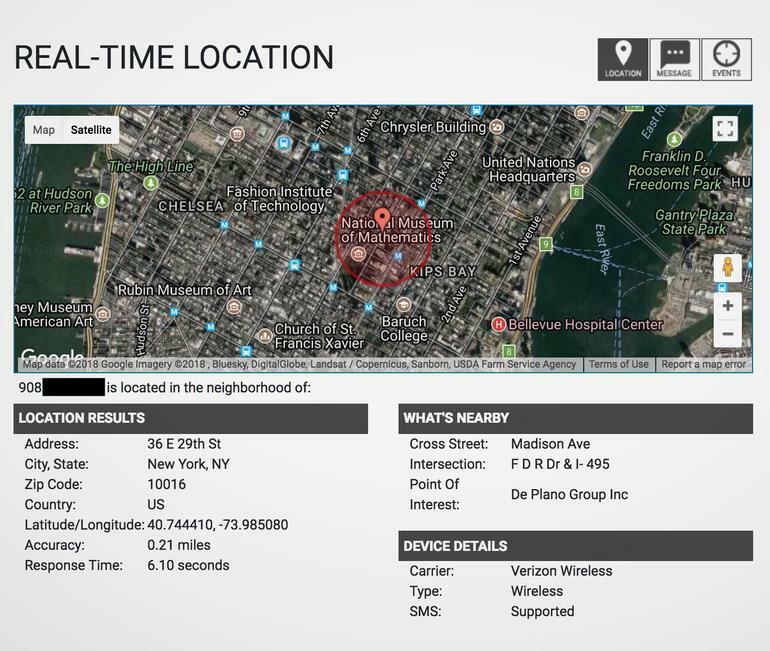 Four of the country's largest cellular providers have been selling your real-time location information, allowing a Texas-based prison technology company, Securus, to track any phone "within seconds," without a warrant. The system uses data sold by AT&T, Sprint, T-Mobile, Verizon and other carriers - who provide it through an intermediary called LocationSmart. LocationSmart sells its data to companies for all sorts of reasons. In some instances it's used to help local businesses send marketing text messages to customers visiting rival stores. In others, location data can be used by companies to track deliveries or shipments - or allow banks to track fraud if a person is making suspicious transactions within close proximity of each other. The company says it has access to location data "because privacy is built into its cloud-based platform." That said, Securus was able to return real-time location data on users without a warrant, or even without a user opting-in.